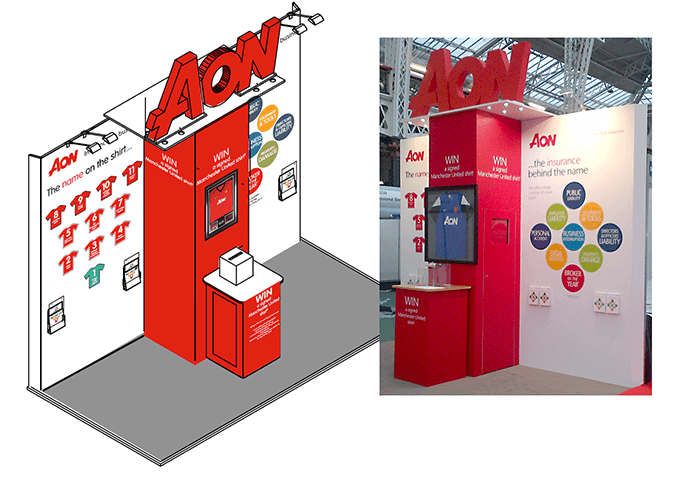 Trade show stands need to cut through the clutter to grab visitors’ attention. 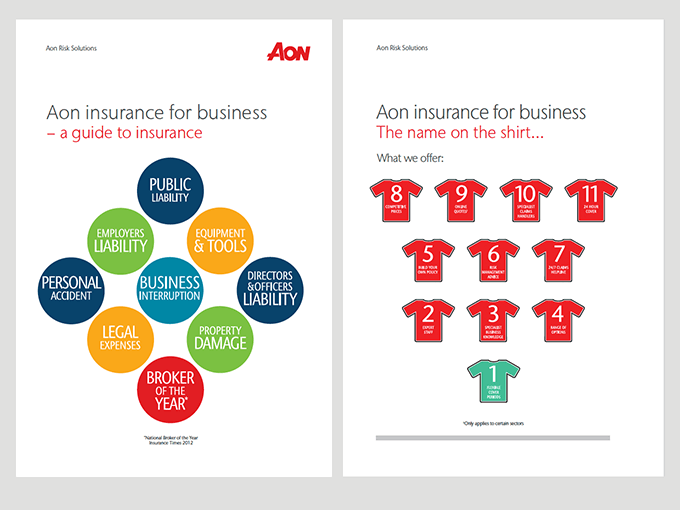 Our brief for AON’s stand at the Business Show was to help the client educate prospective SME enterprise clients on their various business insurance products using simple, straightforward messaging and strong branding. 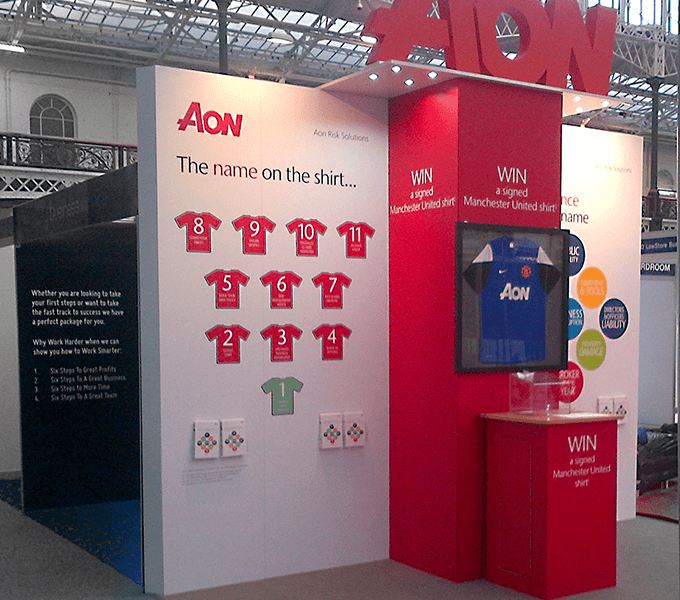 Our scheme linked with AON’s Manchester United sponsorship, the team shirt graphics suggesting the various products working together was supported by a prize draw to win a signed player’s shirt. The eye catching minimal stand was supported with an A5 simple guide booklet in brand colours which was handed out to visitors. This was carefully copywritten to appeal to readers with no detailed knowledge of the insurance market to start a conversation, and the format has since been adapted for other business areas.